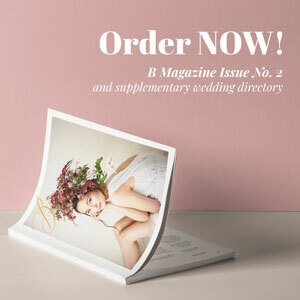 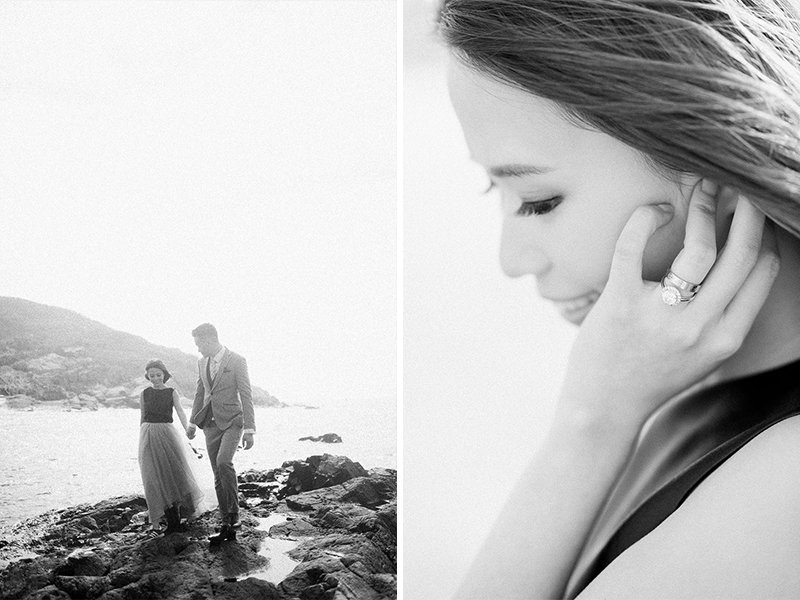 What makes today’s pre-wedding feature so romantic? 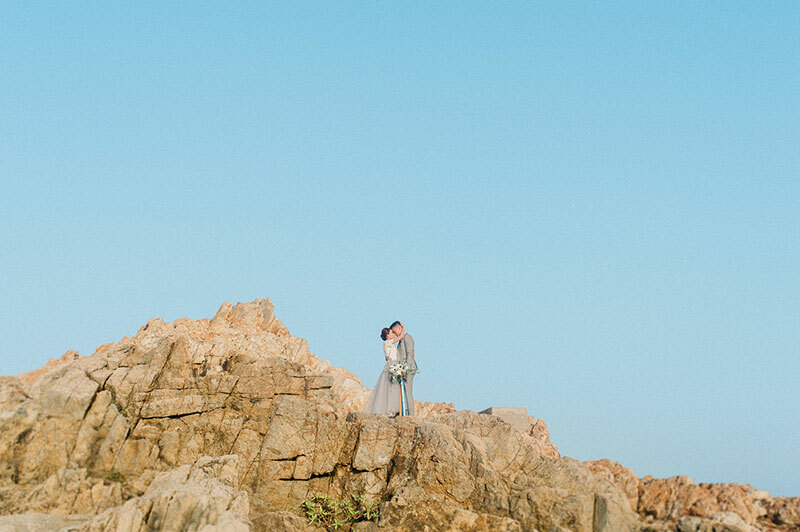 First, the view at Cap d’Aguilar is breathtaking! 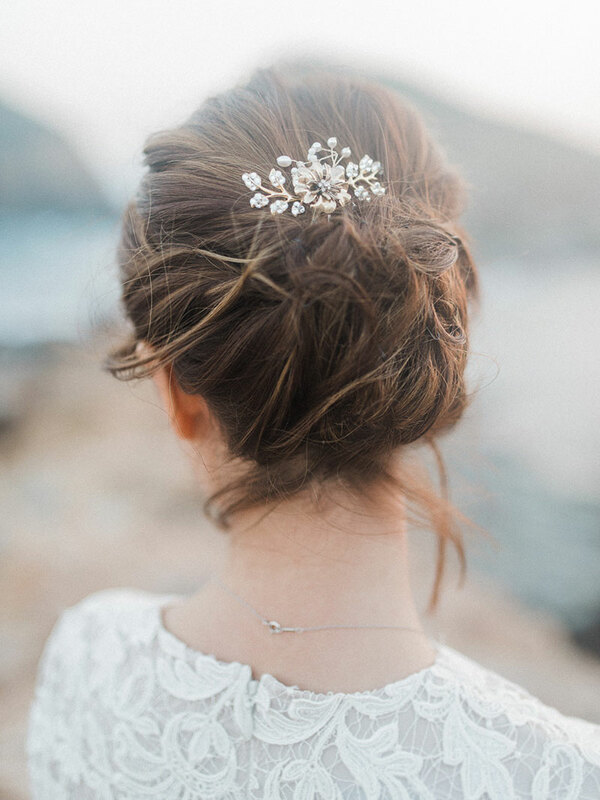 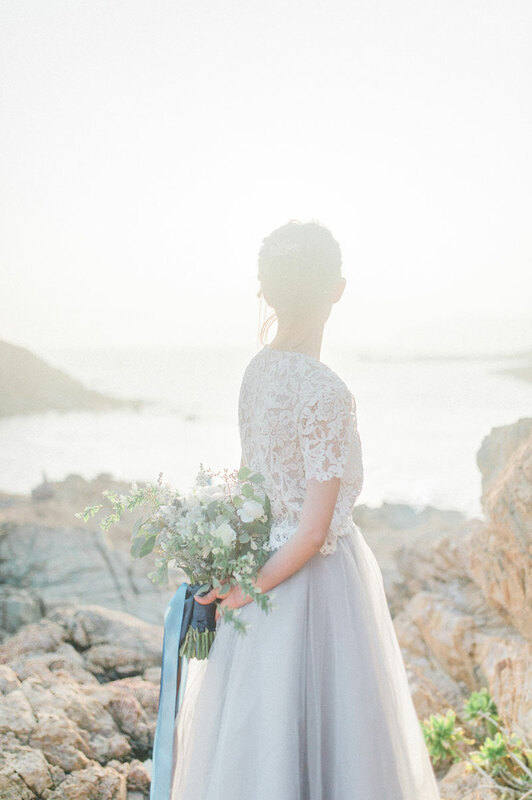 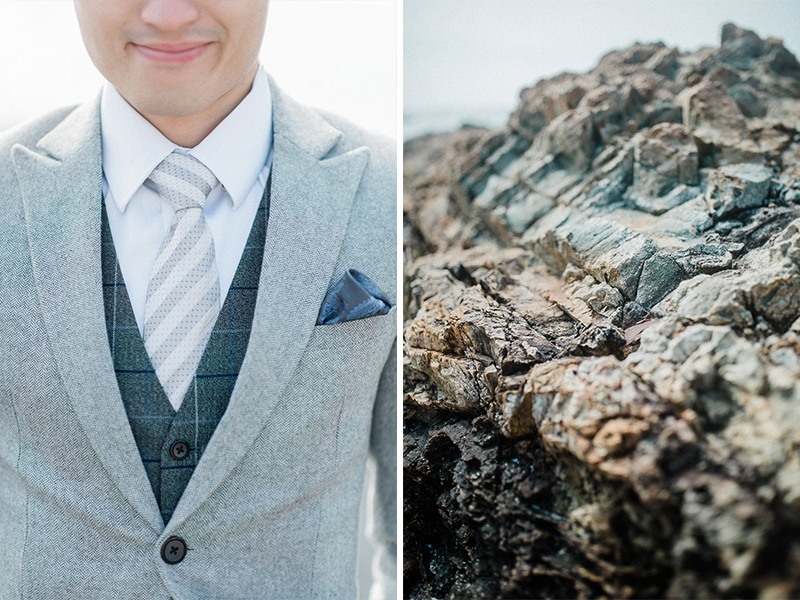 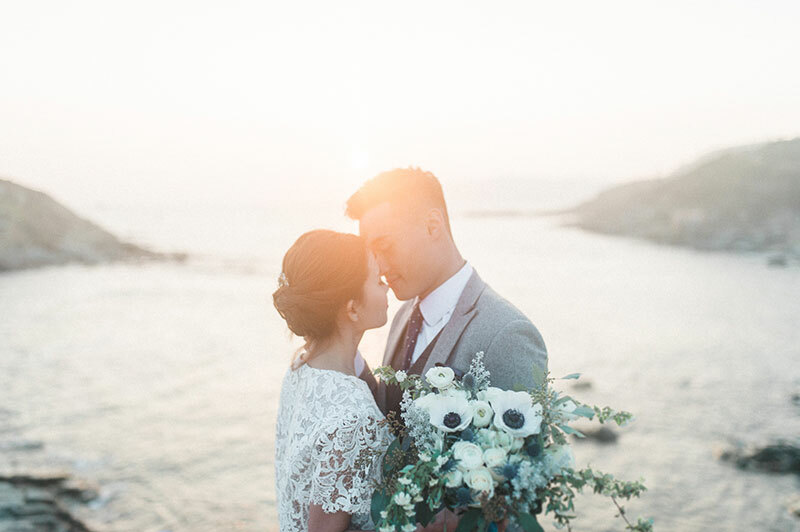 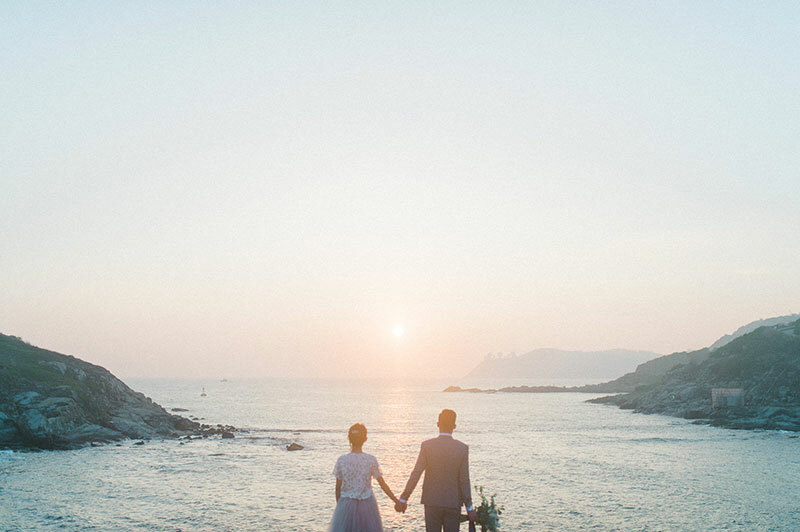 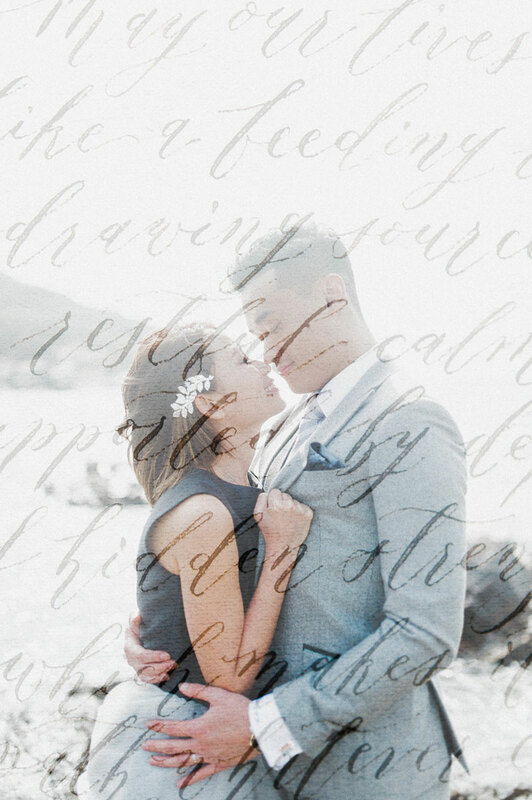 Phoebe and Alex have so many captivating shots by La French Touch Photography in a hidden cave and by the rocky cliffs of this seaside location. 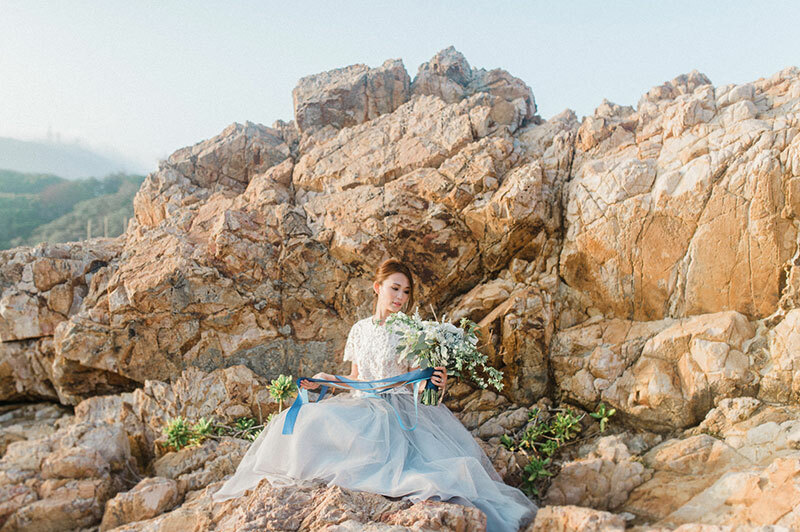 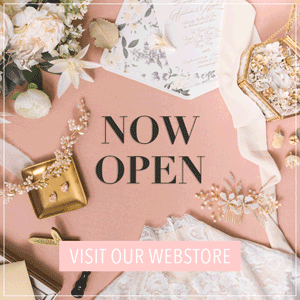 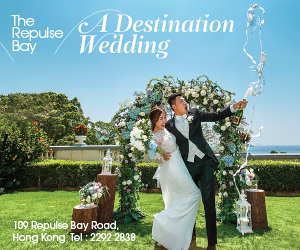 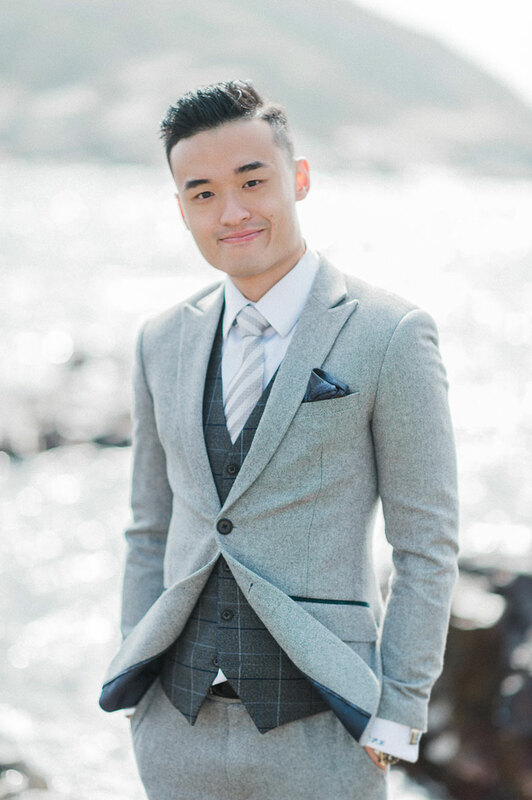 Second, Phoebe’s dresses by Bride and You Hong Kong are classic pieces that are simply so elegant–I wouldn’t mind having them in the closet this instant. 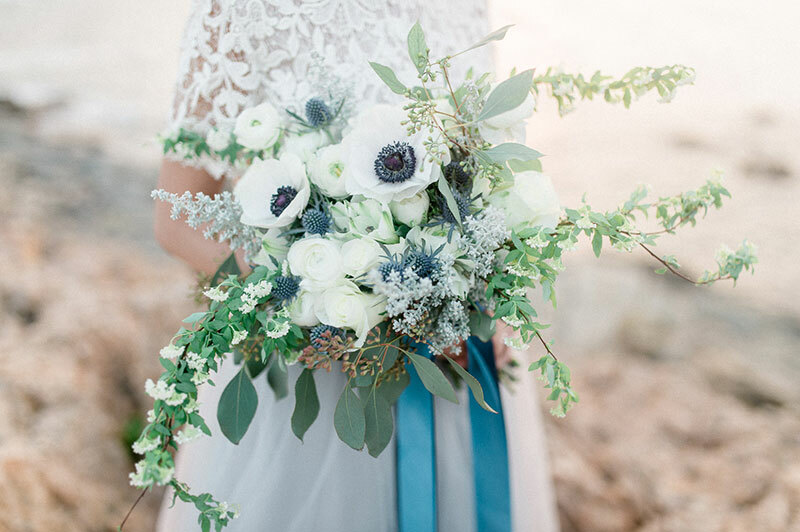 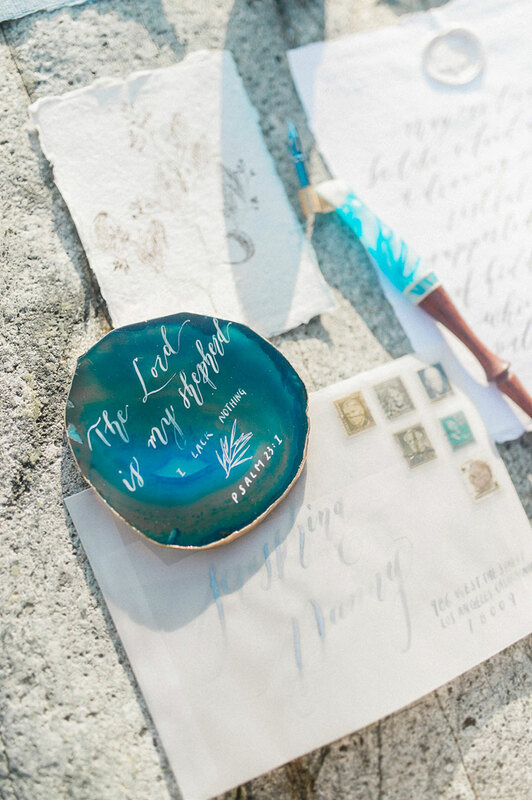 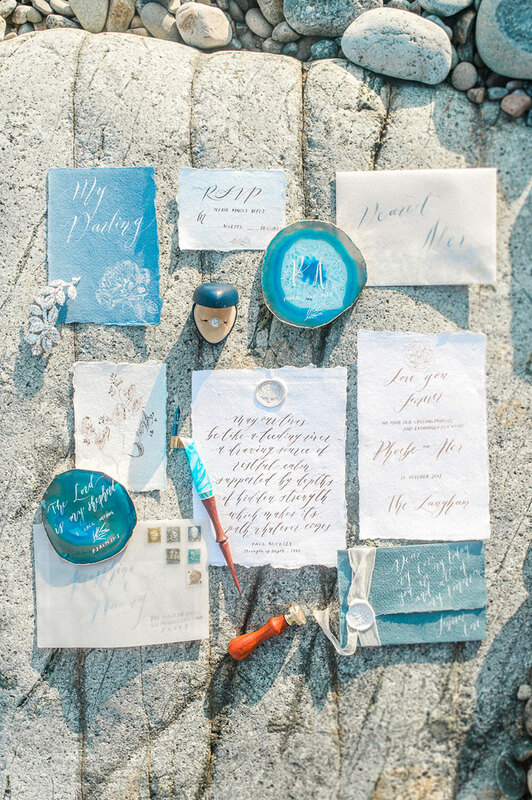 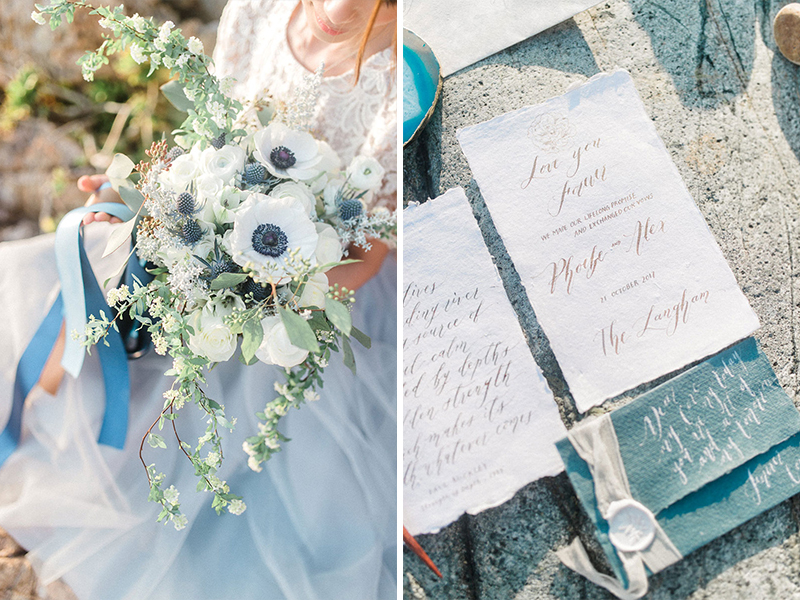 And lastly, the blue details in their photo session–the invitations, geode decor, and bouquet–are perfect accessories to the equally blue scenery! 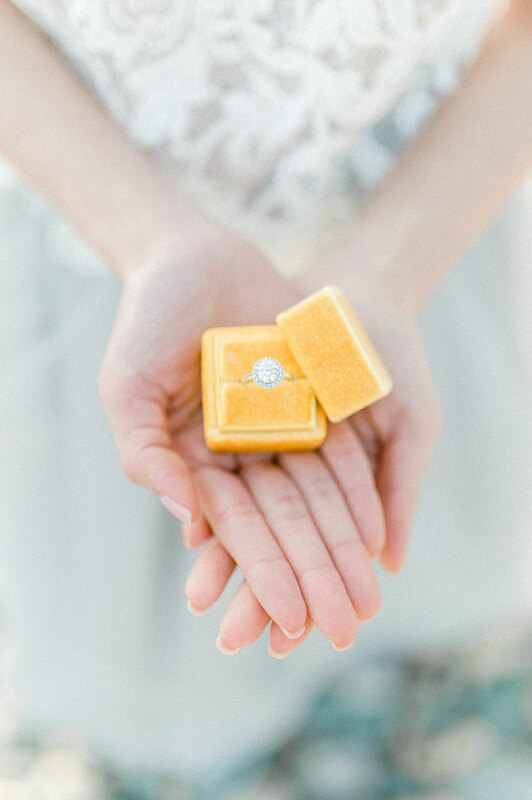 An engagement like this should not be missed, especially if you’re looking for a breather from the work week. 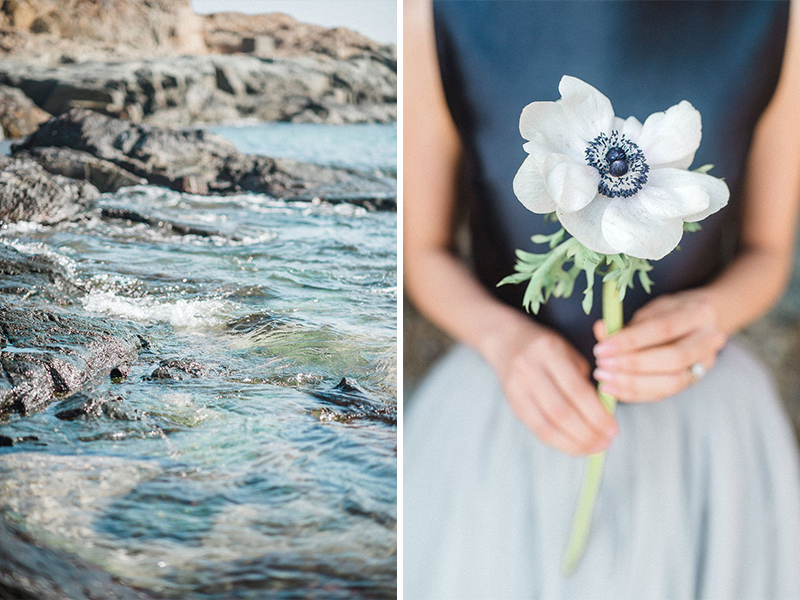 Take the stress of the day away with this refreshing outdoor engagement session. 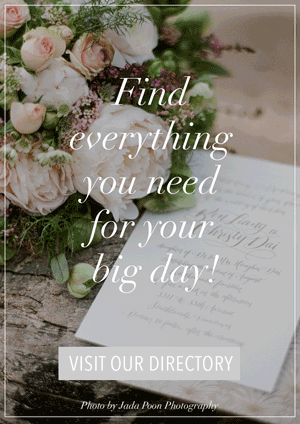 Trust us, you won’t regret it.